Not to be confused with Larry Fessenden's tepid killer fish flick of the same name, "mines" terror from under the ground, not under the water. But is it worth digging up? When environmental lawyer Samantha (Kelly Noonan) returns to her childhood home to celebrate her coal-mining father George's (Jeff Fahey) retirement, some gentle ribbing by his coworkers prods her into volunteering to work with him in the mine on his last day. Some of the more superstitious of the miners think it's bad luck to have a woman underground with them, but more rational heads prevail...at least, for the time being. When drilling triggers a cave-in, however, panic starts to set in. George phones for help, but he's told it will take 72 hours for aid to arrive. Sam, George and the members of the team who make it out of the rubble lock themselves in a manmade rescue chamber stocked with food, water, and oxygen tanks, but when they hear noises outside, they go to investigate, thinking other miners might be trapped. As they search, something unknown seems to take over their bodies one by one, causing them to strike out against one another violently. Is there something truly evil down below, or is it all in their minds? Beneath is one of those movies that doesn't do any one thing particularly well, but is just solid all around. 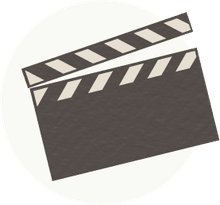 The cast delivers believable performances throughout, anchoring a film that relies on them in particular because of its villainous entities—if they exist—are invisible. We say "if" because the movie does an admirable job of creating doubt in viewers' minds as to whether it's all in the characters' minds—especially Sam's—reminding us that more than 80 years prior, the deaths of 19 miners in a cave-in were rumored to be the result of them going crazy and killing one another. The ambiguity of it all is handled well by director Ben Ketai (who previously helmed the direct-to-video sequel ) and writers Patrick Doody and Chris Valenziano (who previously penned the underrated SyFy creature feature Bugs), but it might prove frustrating to some viewers, and it doesn't do much for generating scares. It's more a tense movie than frightening one, and the insistence upon maintaining the sense of "is it real or not" mystery necessitates downplaying the pulpiness that would be inherent if it were a straightforward slasher, monster movie or ghost story. As such, it's a grim film that lacks a certain level of fun horror fans might crave, but if you can buy into the concept, you'll appreciate the artistry. The grounded, not-quite-supernatural approach, however, means that Beneath isn't able to create any memorable genre moments—be it a spectacular kill, a jump-out-of-your-seat scare or well-crafted creature design (unlike the similarly themed cave horror of The Descent)—so in the long run, horror fans might find that it doesn't "dig" deep enough to stick in their minds. 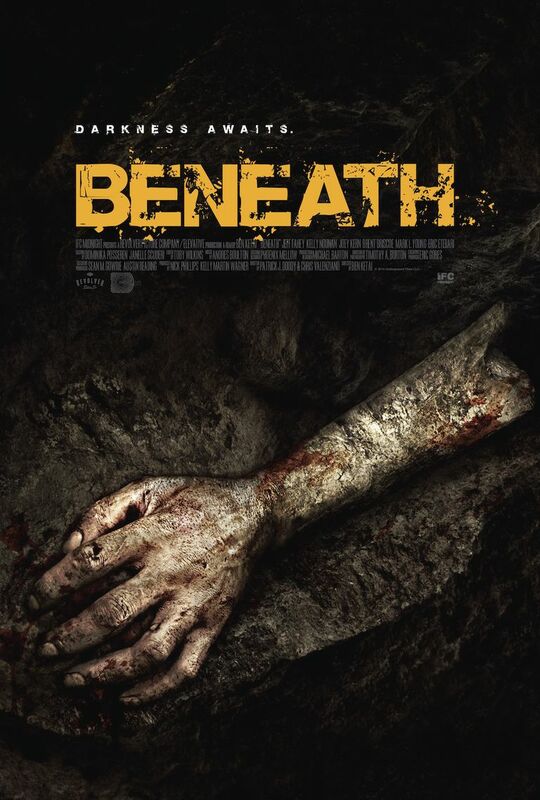 Beneath is directed by Ben Ketai and is not rated by the MPAA. Release date: July 25, 2014.